Trained as an environmental scientist, Concord resident Liza F. Carter was a stay-at-home mom in 1997 when she was invited to go on a trip to Mongolia. She jumped at the opportunity. She and her scientist friend didn’t find the endangered two-humped camels he wanted to study, but the trip changed Carter’s life and led to her documentary photography book, “Moving with the Seasons: Portrait of a Mongolian Family” (Saltwind). 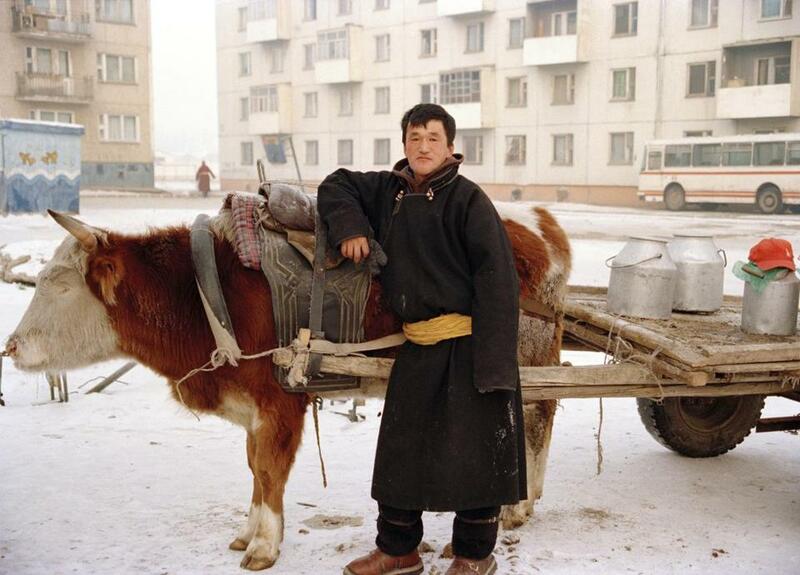 A painter and photographer, Carter was captivated by the warmth and openness of the Mongolian people and fascinated by their tradition of nomadic herding, a tradition threatened by changing weather patterns and lifestyles. In the increasingly frequent extra-harsh winters, more animals, unable to reach the grasses buried under deep snow, are dying of starvation. In addition, more young people are moving to cities. Of the 20 or so children Carter photographed for her book, only two have chosen to be nomadic herders. Though an academic press agreed to publish the book, Carter became frustrated by the continual delays so she struck out on her own, raising nearly $15,000 in a Kickstarter campaign. She’s giving two talks this month. At 7 p.m. Thursday at the Concord Art Association, she will focus on the artistic and practical concerns associated with creating and publishing a book like hers. Tickets are $5 for members and $10 for nonmembers. At 7:30 p.m. on Feb. 27 at the Concord Free Public Library, she will share images from Mongolia. After she reads from her work, Lahiri will be in conversation onstage with Daphne Kalotay, a fellow novelist and friend from their years in graduate school at BU. Lahiri, born in London and raised in Rhode Island, has written a number of works of fiction about Indian immigration and the challenge of assimilating into American culture. The event starts at 7 p.m. in BU’s Morse Auditorium. Mystery writer Barbara Ross, who divides her time between Somerville and Boothbay Harbor, Maine, has been nominated for two Agatha Awards. The nominees are “Clammed Up” (Kensington), the first in her series of Maine Clambake mysteries, and “Bread Baby,” a story in “Stone Cold” (Level Best), the 2014 edition of Best New England Crime Stories. The winners will be announced on May 3 at Malice Domestic’s annual gathering of mystery fans.